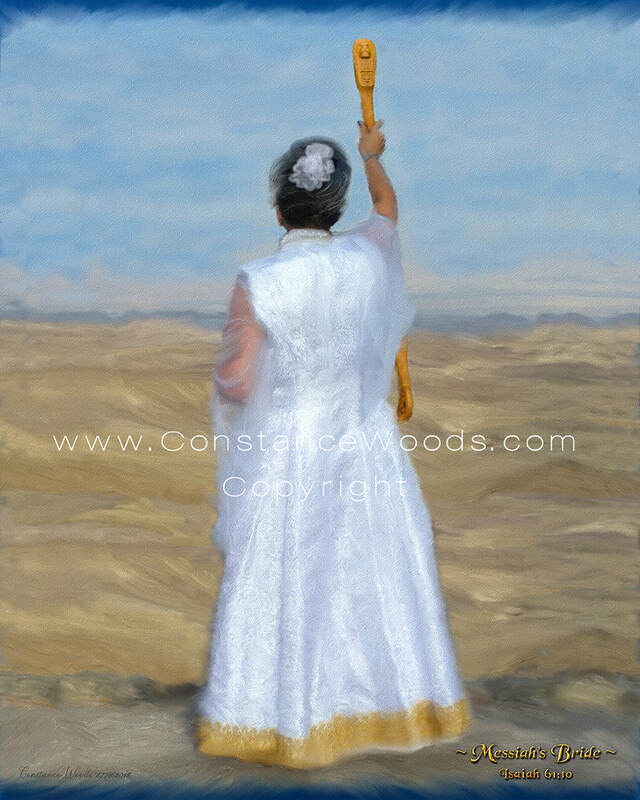 Constance, representing the bride of Christ, extends the scepter of authority in the Negev Desert of Israel to call the Sephardim home. She is a worshipper of Yeshua, a warrior bride for His kingdom purposes. Calling for Yeshua (Hebrew for Jesus) as our King of Glory to come, and calling for Obadiah's prophecy to be fulfilled, that the Sephardic Jews return to posses the Negev. My self portrait painting is done from an original photo taken by Marcelyn B. who lives in Israels Negev. Part of the profits from this artwork go to her ministry.